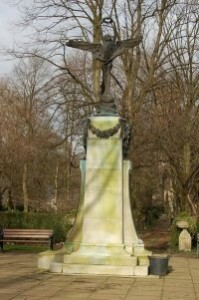 The websites listed below give details of the names on the local war memorials. The records of the Commonwealth War Graves Commission are used to give further details of the men listed on the memorials. The Whitefield and Unsworth sections use the 1901 Census to place the men in their family context. I addition to these, the Memorial Hall ( Longfield Suite) and the War Memorials within it have been officially listed as War Memorials now. These excellent sites have been co-researched by Laura Vizard and Rod Gibson. We thank them for this work. 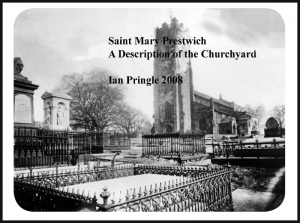 The link below relates to Prestwich…. Thank you for the link, just to note though it’s Rod Gibson not Gilbert. Merry Xmas and thanks again, Laura Vizard. I am wondering whether anybody can help with the following question please? I don’t remember there being a memorial there and the only think I can think of is that it was possibly relocated? yes there was a War Memorial on Spion Kop. It was moved, several decades ago, to stand on the junction of Rectory Lane and St. Mary’s Road outside the old Library that is now PADOS HQ. I often used to stay with my aunt in Clough Walks at the end of Gardener Road and I often would climb up to play at Spion Kop and sit on the benches which surrounded the memorial. Perhaps it was moved to protect it from vandalism? If you have any contact with any one researching the above family please give them my email address. I know there are two names Frank and Phillips (DCM)on the war memorial. Also I have contact with another Hibbert researcher but we aren’t related. Hello Ann, Phillips Hibbert and Frank were my grandfather’s brothers. He was called Sidney, and also served in the war, but thankfully came home. My mother was born in 1916. It must have been awful for the family – I never knew anything about it when I was growing up in the 50s/60s. I have done quite a lot of research into my family using Ancestry – do get in touch. I have been looking for information on Phillips and Frank Hibbert. My grandmother was Emily Hibbert their sister. They lived at Egerton Street Heaton Park Manchester. But she said little about them. She married soon after WW1 and moved near London. I would be interested in any further information. Regards, Robert Cash. but I have also found a newspaper report of Phillips giving a talk about his DCM. I hope you find this and reply to me! Just in case Robert Cash drops by again – I have found Emily Hibbert and her husband and descendants – some of them, at least. Was very reassuring to have your surname!